Z Prep! / About Z Prep! Club Z! is North America’s premier provider of one-on-one, in-home tutoring services in all subjects, pre-K through adult. Through our Z Prep! test preparation division, we also have the privilege of providing high quality, results-focused test preparation services for SAT, ACT, study skills and more! Many test prep programs offer a large group, classroom-like setting where it is impossible for students to receive individualized instruction specific to their unique needs. Our Z Prep! program is different. Our Z Prep! 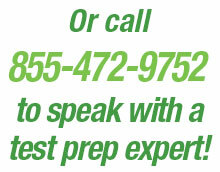 SAT and ACT prep courses are delivered through one-on-one, focused sessions with a highly qualified and screened tutor. We understand that each student’s strengths and weaknesses are different, and our program is designed with those unique differences in mind. In fact, our program starts with an in depth diagnostic test to identify exactly what those strengths and weaknesses are so that we can customize a syllabus that is specifically designed for your child. We then create customized lesson plans with tailored homework assignments to help the student practice and ultimately master newly learned skills and strategies. Individualized instruction has been repeatedly shown to be the absolute most effective instructional approach. How Does Z Prep! Work? We attack each test on 3 fronts – 1. Improve the necessary academic skills measured by these tests, 2. Help the student identify his/her most effective test taking strategies, 3. Improve speed in completing individual sections and maximizing correct answers. This unique 3-pronged approach has been proven to help students improve their performance on these difficult exams. In fact, on average, students who complete the Ivy Z Prep! SAT program see a 240+ point increase on their composite score; similarly, students who complete the Ivy Z Prep! ACT program see a 3-5 point increase on their composite score. What Makes Z Prep! So Successful? All of our tutors are highly qualified instructors who are passionate about education and thoroughly vetted. Through our proprietary Z! Tutor Match system, we offer customized tutor selection and placement for each student. Our Z! Tutor Match is made based on the following 4 criteria: academic strengths, availability, personality and teaching style. We are so confident in this process that we even guarantee the match. Through our Z! Guarantee program, if the tutor selected for the assignment isn’t a perfect fit, simply let us know and we’ll make a more suitable match ASAP. It’s that simple! How can we be this confident? Our SAT and ACT tutors know their stuff! In fact, to qualify as a Z Prep! instructor, the tutor must score in the top 5% on whichever exam he/she teaches! How Can We Help Your Students? 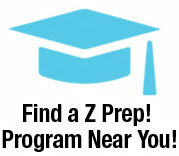 In addition to our proven results, Z Prep! also offers the greatest amount of flexibility on the market! Our programs can be customized to the individual student or a group of students’ needs. Our one-on-one program is our most effective, most popular program. However, we also offer highly effective small group and online programs. Our goal is to create the best program possible to support your students’ success.